The third and final workshop in the “Connect With Your Raving Fans to Build Your Business” series. We all know it, the web is always changing and there are always new techniques emerging to help businesses reach their target audiences with the right brand message. The question is, are you using what’s available on social networks to reach your raving fans? What can you do to develop relationships with new fans, followers, friends, guests, customers and ultimately brand loyalists? Do you know how to tap into user-generated content on Instagram, now considered the most visual platform? How about working with influencers? With the constantly evolving and always intimidating Facebook algorithm, are you doing everything you can to make sure your posts show up for your audiences in the most effective way possible? What about your website? Are you adding content that engages your visitors? And, can potential visitors easily find you? 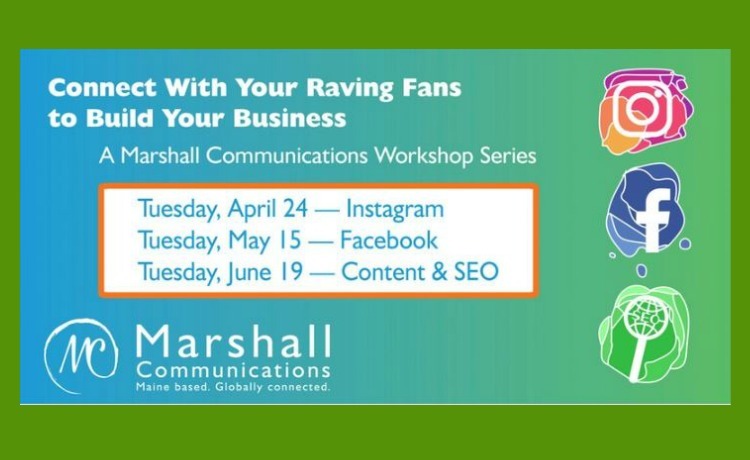 In the third of Marshall Communications’ workshop series, the Marshall team will focus on the type of content you should be creating and how to improve the SEO on your website—both to reach your audience and grow the one you already have. When you leave, you will immediately be able to return to the office and improve your organization’s search engine rankings.